It's our pleasure to welcome today's special guest, Jeannie Lin to The Romance Dish! As stated on her website, Jeannie is an award-winning author who brings the drama and sensuality of Tang Dynasty to life in tales of honor, romance, and adventure. Her stories, set in the Golden Age of China, are inspired by Jeannie’s lifelong love of historical romance and the wuxia (martial arts) genre. Jeannie is also the inspiration behind all those terrific Romance Trading Cards you've been seeing at conferences and in mailings from your favorite authors! 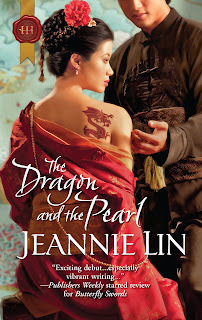 Jeannie is joining us today to talk about the mythology behind her latest release, THE DRAGON AND THE PEARL. Please give her a warm welcome! Hello Romance Dish and thanks for having me! This is the official kick-off of my blog tour for THE DRAGON AND THE PEARL so I should wish you all lots of love, happiness, and good fortune. Karma, you know? THE DRAGON AND THE PEARL is one of those rare instances in a book’s life where the author gets to keep the title she chose and I was really hoping that the powers that be would let me hold onto it rather than re-titling it “Ruthless Warlord, Captive Courtesan”. It’s a Beauty and the Beast sort of tale between a rebel general who takes a former imperial concubine captive, but as they each start to unravel each other’s secrets, the clash of wills transforms into a bond that allows them to fight against the many enemies plotting against them. I had the title suggested to me by the brilliant Elizabeth Grayson while I was still writing the novel and from there, everything fell into place. First of all, what does it mean? We often see Chinese dragons depicted with a pearl or an orb either in their claws or floating nearby. During festivals, dragon dances involve the long serpentine body of the dragon chasing after a pearl. Turns out, it’s a bit of a mystery. The pearl is believed to represent a celestial orb that holds energy and power. In the book, the hero is a warlord who has an outlaw tattoo on his back (umm…yeah, you’re wondering why the cover then shows the heroine with said tattoo, right? The artists were not incorrect is all I’ll say). I had spent the entire first draft of the book wondering what was the tattoo going to be. A sword? Some mysterious symbol? Once I had the title, it hit me—A dragon and the pearl! The symbolism worked so well with the themes of the book: the quest for power and the mystery of what the pearl truly represents. Like my heroine, I believe the dragon’s pearl is often mistaken for just a shiny bit of treasure, but in truth its meaning and its value is much more complex. THE DRAGON AND THE PEARL is available September 20 from Harlequin Historical and is set in the Tang Dynasty, during a time of court intrigue and a great power struggle between opposing warlords. 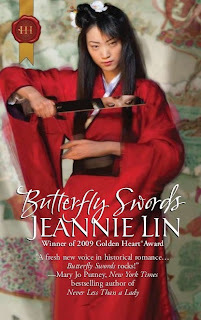 It’s a follow-up to my 2010 release, BUTTERFLY SWORDS. A linked short story, THE LADY’S SCANDALOUS NIGHT, is available as an ebook release now from Harlequin Historical Undone. What sort of folklore or symbolism are you fascinated by? Let me know in the comments or just say howdy and hello and I’ll be giving away a free copy of the prequel BUTTERFLY SWORDS, print or ebook, your choice, to one randomly selected visitor. You can visit me at my website: http://www.jeannielin.com or check out THE DRAGON AND THE PEARL LAUNCH CELEBRATION (http://www.jeannielin.com/index.php/the-dragon-and-the-pearl-launch-celebration) for a chance to receive books and other Tang Dynasty themed goodies. I’m also on Twitter as @JeannieLin. Welcome, Jeannie! Thanks for that peek into the mythology behind The Dragon and the Pearl. I can't wait to read the book! SiNn, I've always been fascinated by Irish folklore too as many of my ancestors are from there. I love learning new folklore and have been facinated by those from the Eastern countries. I had a book of Japanese fairy tales when I was very young and now only wish I still had it. Good morning, Jeannie! We're so glad to have you with us today. I'm looking forward to reading The Dragon and the Pearl. I love Celtic folklore---I have several books on the subject. Of course, Greek mythology is always a fascinating subject. I love reading about mythology. I'm particularly interested in how that translates to books and art. I'll always love Greek mythology, Aztec/Mayan/Incan mythology, and British folklore. Australian Aborigional art is simply fascinating; I did a project about it some years ago. I'm not very familiar with the folklore of the Eastern countries, but it's not too late to start. I enjoyed reading your post, Jeannie. Congratulations on your newest release. Hello everyone and thanks for the well-wishes! My brother and I used to devour Greek and Roman mythology growing up. Then I found this great illustrated world mythology series at the library in the children's section and read great overviews of Celtic, Japanese, even some Central American mythology. I wish I remembered that series--don't you find children's books are still a great source for research even now that we're *ahem* "serious" adults? @MsHellion - Oh thank you! What a nice comment to start my morning. I don't have a preference as to folklore...I seem to be fascinated by it all whether it's Irish, Indian, Chinese or European. I think it's neat when an author ties their book to some kind of folklore- gives it a more historical feel. Love the covers on both of your books- they're great and both books sound interesting too! @Maria -- I think mixing in mythology or folklore into my stories was especially crucial since the Chinese culture is very much into symbolism. Even in modern times. At times Asians seem overly superstitious about things, but it's a part of this mentality of symbolism. It's not just a literary device. Words that sound like certain favorable things are considered lucky. The reverse is true too. That's why names are so important. Everyday objects start to take on special meaning because of these associations--mirrors, doors, etc. You can start to see where principles of something like the art of Feng Shui and arranging living spaces (technically wind and water) start to evolve from a people who have this symbolic mindset. It's nice to meet you here at the Dish. What a fascinating look into the mythology behind your new book! As a kid, I was fascinated with Greek and Roman mythology, all those Gods and Goddesses looking down from Mt. Olympus. It wasn't until I was older and really started studying those myths when I realized dang, it's like a soap opera! They all sleep around, and they are susceptible to jealousy, anger, and petty behavior just like we are, lol. I was totally nodding my head reading your comment about Asian culture being super into symbolism and everything having meaning. In fact, I never knew until I was visiting relatives that hospitals skip the fourth floor because the word four in Mandarin is very close to the word for death-not what you want in a hospital! They usually rent it out as office space. And when I was arranging my room once, my dad got all Fung Shui on me and insisted I move the mirror to a different location as it would be bad luck in the present location. Hi, Jeannie, and welcome! It's great to have you here. Congrats on your upcoming release! Oh, I'd forgotten about the fourth floor. When I visited China, I remember noticing that. The 13th floor was well and good though. Andrea, I think myths are a great way to get boys to read. Plenty of action and adventure in them. A little gore, but at least it's recognized as mythology gore (chopping off a Gorgon's head) versus real violence. Honesty most of the time i don't get the symbolism till it's explained to me. Once i'm told i find it really fascinating to try to figure it's other meanings in the story. I am so glad to see more historical romances in settings other than Regency England. Not that I don't enjoy those, but there is so much more out there to explore and enjoy. Every country has its symbols and folklore. The themes, however seem to be universal. For example, there is a Cinderella story found in most cultures. It is wonderful to see the various representations in both children's and adult literature. I enjoy folklore & legends from around the world. It's a glimpse into a forgotten past sometimes. Although I read a lot about Roman and Greek mythologies in my youth, my favorite was Norse mythology. What other mythology would have a macho god like Thor dress up to take the place of Freya, the goddess of love? And he drives a chariot drawn by goats and she by cats? She also gets to have half the fallen heroes. Plus, there's an end-of-the-world scenario (Ragnarok) but some people and some gods do survive to live in utopia of some sort. thanks for this wonderful and fascinating post. Mythology and folklore are always of great interest to me. Your book look compelling. Sorry I'm late to the party. I was born in Greece so that mythology was already in my DNA! I also enjoy Roman mythology and how they adapted it from the Greeks. My other mythological interests relate to Jewish culture. I am also fascinated by the similarity of myths from vastly differing cultures. Just wanted to leave with a parting recommendation -- I see a lot of people really love Greek mythology (myself included). I really highly recommend Stephanie Draven's books if you're into paranormal. She infuses Greek mythology into her Nocturnes and it's not just a nod and smile with a few Olympian gods. She really knows her stuff! 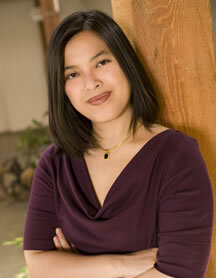 She also writes a historical series about Cleopatra Selene, Cleopatra's daughter, under Stephanie Dray. The second book in the series, Song of the Nile, is out this fall and I can't wait!! Hi Jeannie! Your book, The Dragon and the Pearl sounds wonderful. I love mythology and folklore.